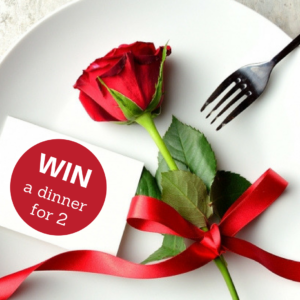 WIN a Valentines Dinner for 2! COMPETITION IS NOW CLOSED. The winner has been announced on our Instagram and Facebook pages. Thank you all for entering. We know that sometimes Valentines can seem a little commercial, so we want to make it mean something. The Prize: We are giving away a dinner for two lucky people to indulge in our special Valentines Day tasting menu, including 4 courses valued at $150. The winner will be announced the evening of Friday, February 9th 2018 on Instagram, Facebook and our website.